Should the Federal government regulate and/or ban kratom? 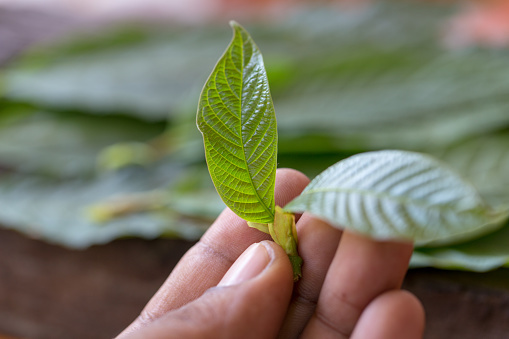 The debate rages on over the Federal government’s insistence that kratom, an alternative pain remedy considered a natural opioid, is an illicit “drug.” Natural health advocates disagree and wonder how far this overreach will go. Do you agree that kratom and/or other natural supplements should be regulated by the Federal government? 1) Have you ever heard of kratom? 2) Do you agree with the Food and Drug Administration that kratom is dangerous? 3) Do you think that a natural substance like kratom is safer than OxyContin or Vicodin? 4) Do you think the Federal government should regulate kratom? 5) Do you think the Federal government should regulate herbal supplements? 6) Do you ever take herbal supplements? As our way of saying thanks for participating in this poll, you’ll receive a complimentary subscription to Easy Health Digest™, the web’s most comprehensive source of natural health news. Please note, you can opt out at any time.